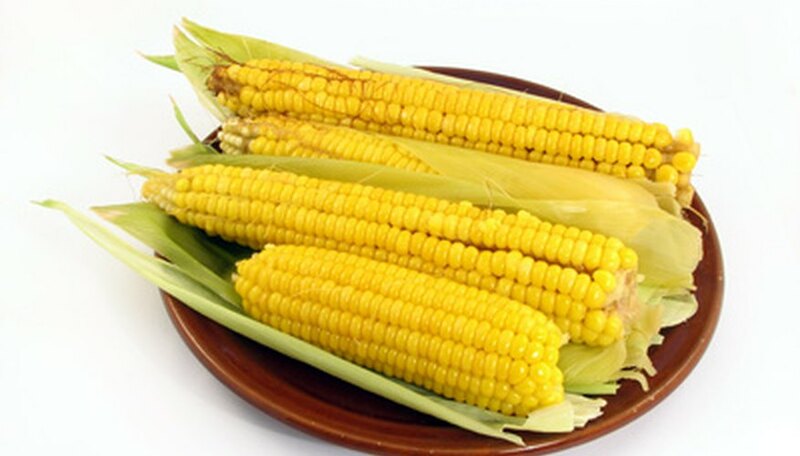 Planting lots of corn is a good idea because an abundance of plants guarantees there is good pollination between the plants, resulting in plump ears. However, bending over for a long period of time and planting each individual seed in the ground can be hard on your back. It is easier to plant your corn if you take a little time beforehand and build an inexpensive homemade corn planter. Cut a 3-inch section off the top of a 2-liter soda bottle using a sharp knife. Be sure to include the spout. This section will be used as a funnel. You can discard the remaining bottom portion of the bottle. Tape the spout end of the two liter soda bottle section onto the end of the 6-foot length of PVC pipe. The spout should fit neatly into the 1-inch opening of the PVC pipe. Use as much duct tape as needed to make it secure. Stand the PVC pipe with the funnel pointing up in front of you. You will be dropping the corn seed into the funnel, and it will roll through the pipe into the planting hole. Decide how long the PVC pipe should be according to your height. Mark the bottom section of the PVC pipe with a permanent marker. This is where you will cut the PVC pipe to its appropriate length. If you cut the PVC pipe before you add the funnel, you may cut it too short or too long for your height, so cut the pipe after the funnel is attached. Cut off the bottom section of the PVC pipe with a hacksaw at a sharp 45 degree angle at the appropriate length. The sharp angle will be used to dig a hole before the seed is placed in the funnel and sent down into the planting hole. After the seed is deposited into the hole, simply cover the seed by moving dirt over it with your foot. This planter can also be used to plant beans, peas, melon and squash seeds.